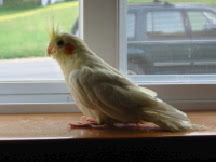 He is a cockatiel. Sunny loves to chirp at the birds outside. He is very young in this picture. 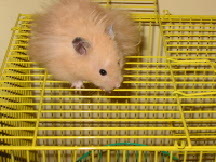 Sandi knows how to open his cage and climb out, as you can see in this picture. He often does the monkey bars. 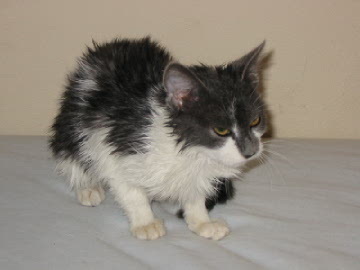 Kitty has just gotten done with a bath and is trying to dry off. Kitty is not an outdoor cat. 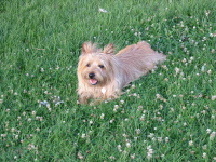 He loves the outdoors and you can find more information about him in "My dogs" page. Tommy likes to be petted. You can also find out more information about him in "My dogs" page. Koko loves to hunt birds and play fetch. 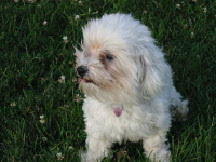 You can find more about her on "My Dogs" page.